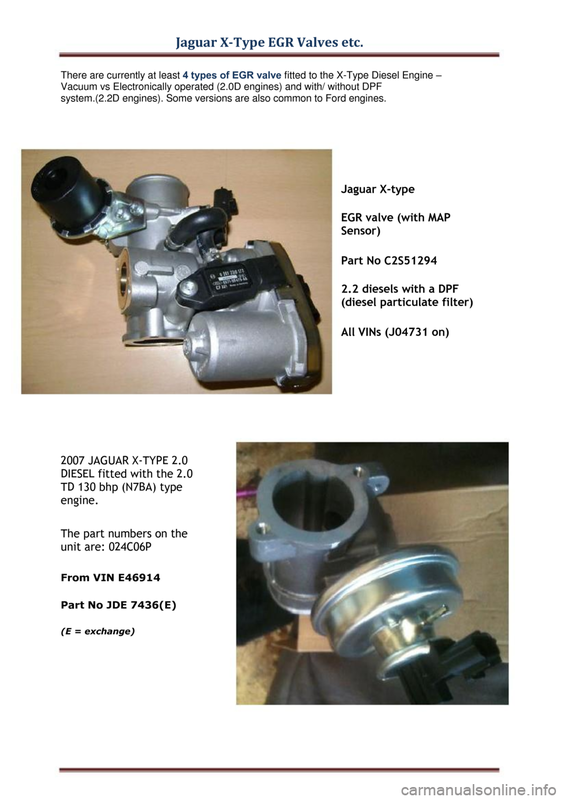 Jaguar X-Type EGR Valves etc. 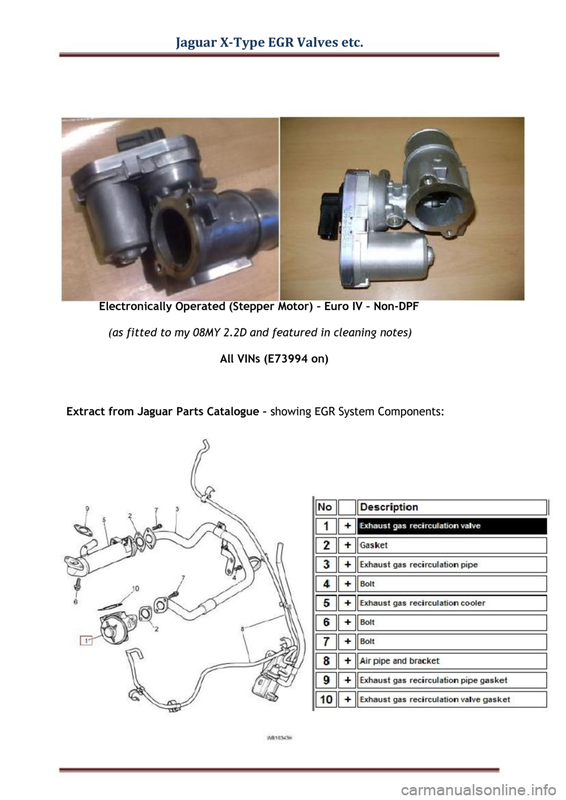 Recirculation (EGR) devices fitted to the X-Type Jaguar series. 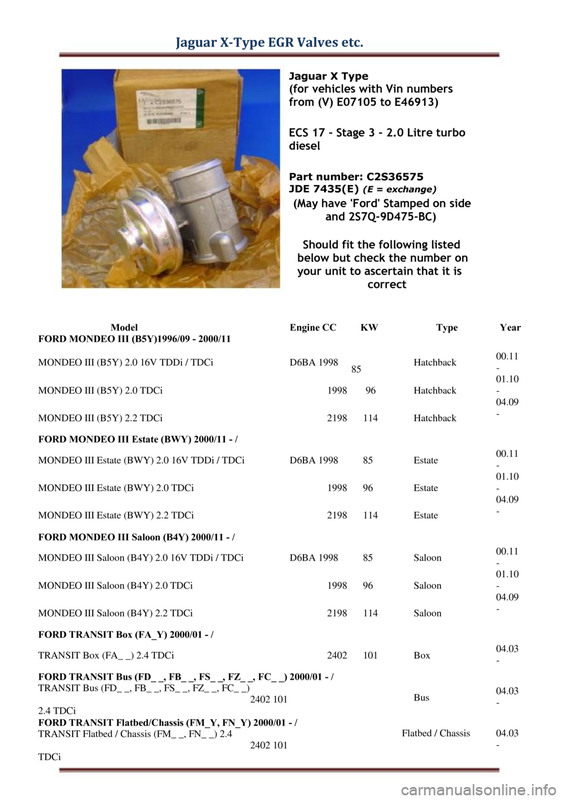 There are a number of different versions of EGR and each is illustrated with part numbers. 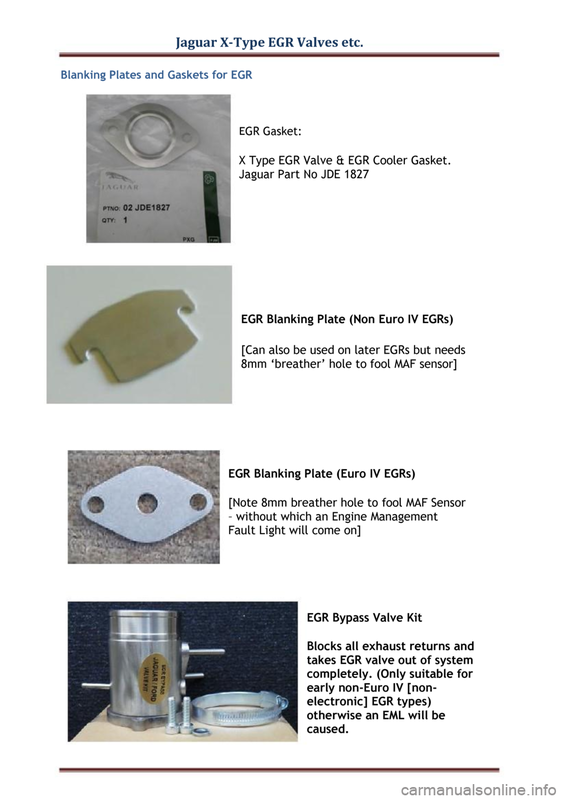 between and various components of an EGR system with their title. version was operated by vacuum only). 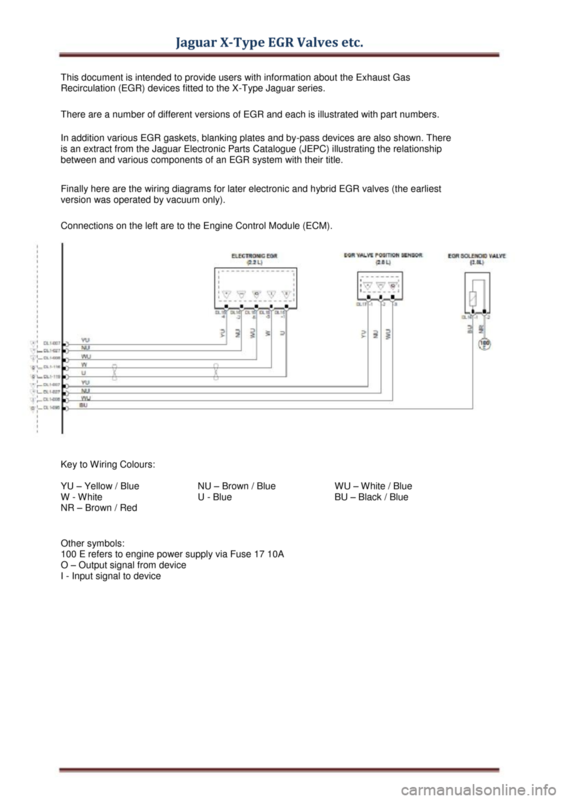 Connections on the left are to the Engine Control Module (ECM). system. (2.2D engines). Some versions are also common to Ford engines. X Type EGR Valve & EGR Cooler Gasket.